European financial regulators just took a positive step to engage directly with the disruptive effects of the growing cryptocurrency ecosystem, but you might not have realized that. The European Banking Authority (EBA) watchdog agency issued a report on Friday, July 11, titled "Opinion on 'virtual currencies'." It then received a great deal of media attention--most of it negative. The document did critically detail 70 key risks associated with digital currencies, including those related to individual users, financial institutions, and ironically, even regulators themselves. 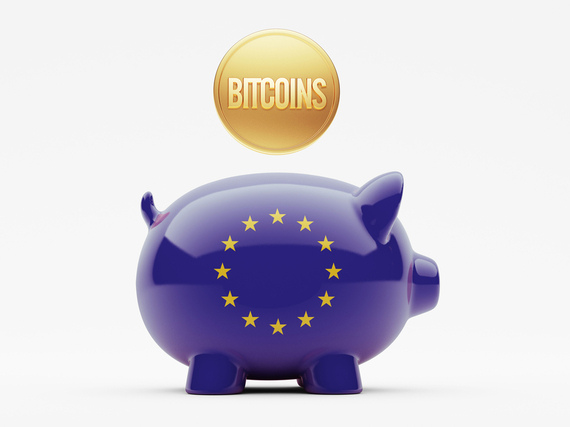 The key takeaway discussed in most public reports was the agency's recommendation that EU financial institutions should not buy, sell, or hold virtual currencies. Most journalists and casual observers were left with the impression that Bitcoin is too dangerous and volatile to go mainstream. In short: people and banks should steer clear. However, those taking the time to browse through the EBA's 46-page report will notice what most of the press did not---that it also acknowledged and highlighted several key benefits of Bitcoin, such as lower transaction costs and faster processing times. These benefits should not be discounted lightly, as even incremental improvements in speed and costs could buttress the tenuous global economic recovery and bring benefits both to individuals and institutions. These innovations could also have a huge positive effect in bringing efficiency and lower prices to the global remittance market, which according to the World Bank is expected to grow to over half a trillion dollars by 2016. Even if one buys into the EBA's hypothesis that Bitcoin's risk/reward ratio is currently negative, nobody can predict what it will look like in the future. The reaction to the EBA report shows that despite the old adage there is no such thing as bad publicity, Bitcoin may have gotten too much attention in recent months. Certainly there have been substantial hiccups in its deployment. The coverage ranges from the collapse of Japan's Mt. Gox exchange in February to French authorities this week dismantling an illegal Bitcoin exchange in the country. We've also read much lately about VC firms focusing on the crypto ecosystem, capped this week by wallet service Xapo raising $20m on a valuation north of $100m. These mixed reports are conveying conflicting impressions, either that the ecosystem is fundamentally unstable or that the experts understand it better than do ordinary people, so are rushing to exploit it. Either way, all but the most obsessed come away with skepticism or even fear. Call it "Cryptopayment Paranoia". For sure, there are significant inherent political and regulatory challenges associated with Bitcoin--like many other technological innovations. Some of these are more pronounced because they deal with financial transactions--which directly impact the economy and peoples' livelihoods. Bitcoin has triggered concerns about risks ranging from money laundering to terrorist financing. But we have spent time talking to European government officials, investors, and bankers. And we're convinced that the EBA report is not urging banks to forever freeze out Bitcoin. Rather, EU regulators just want to keep something along the lines of an "air gap" or wall between virtual and fiat currencies. This approach makes some sense. Primarily, it serves to signal that the EU is not (yet) ready to make an overall determination on Bitcoin one way or another. This may not qualify as encouragement, but it should not be read as outright hostility either. Ultimately, however, the EBA's desire to sandbox the Bitcoin ecosystem and build a comprehensive regulatory environment from scratch in a sterile environment is not feasible. This fact epitomizes the fundamental challenge impacting regulators today across the spectrum of emerging technology. There is no stopwatch or timeout that can be used. Further, there is a race in technology after technology, taking place around the world as various communities seek to become the first movers who can embrace new tools and reap the greatest rewards. This effort is especially complicated in the EU, which aims to get all its 28 countries moving in lockstep, however difficult that may be. When talking to financial regulators from key continental European countries about how to deal with cryptocurrencies, one gets a sense that they are looking to the European Central Bank, and other key financial institutions such as the Bundesbank in Frankfurt for guidance in formulating a common EU posture. For now it's unclear when the powerful central bankers around the world will seriously join that discussion. Canada has adopted an ambitious Bill called C-31, thought to be the world's first national Bitcoin law, but most regulators are taking a very cautious approach. Therefore, last week's EBA report opens up an opportunity for sophisticated and responsible players in the Bitcoin ecosystem to further showcase their adherence to best practices (including strict Know-Your-Customer and Anti-Money-Laundering rules) and to engage in a serious dialogue with government players about how to leverage the tremendous potential of cryptocurrencies for the benefits of consumers and companies as well as traditional financial institutions. The successful rise of cryptocurrencies will require patience, clear thinking, and unprecedented cooperation from all involved parties. That's a tall order. But failure in these efforts could cost us substantial potential benefits now and in the future.